OK, time to rebuild, I had a big Olympus e-10 SLR QTVR movie right here on the front page, but realize that people are a little unprepared for a 350k download when entering a webpage... Soo, I have moved it down one layer to this page. E-20 What does it mean to you..? 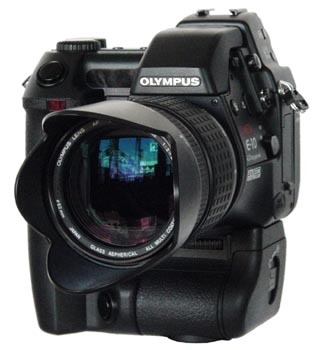 Olympus Introduces the next "E-10" The E-20P with 5 mega pixels. The E-10 is totally capable of competent action photography, the important thing is to keep the cameras features and limitations in mind.